Your vehicle’s steering and suspension are designed to create maximum traction between your tires and the road. This provides steering stability, proper handling, and good comfort. These components are ground zero at connecting your vehicle to the harsh roads and are thus prone to wearing out or even breaking, possibly leaving you stranded. Steering and suspension systems are key safety components and should be inspected annually or if you are experiencing problems such as uneven tire wear, excessive noise vibration or bouncing, loss of contact with the road, or have symptoms of the vehicle not wanting to track straight down the road. 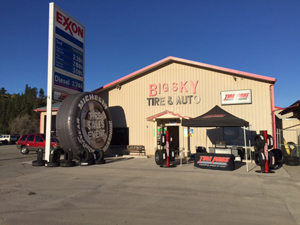 If you need your suspension checked, let the qualified technicians at Big Sky Tire Pros quickly identify any problems you may have.